The level of exposure cryptocurrency enjoys in the financial community makes it easy to forget that investing in it is a journey, one which investors can ultimately succeed or fail, but will likely face a measure of both at certain points. Before starting down this journey, however, there are certain questions to ask before investing in cryptocurrency if you want to stand a chance at succeeding. What is my reason for investing? This will seem like a question with an obvious answer to most. After all, it’s rare for people these days to hear the word ‘cryptocurrency’ mentioned outside the context of wealth acquisition. The truth, however, is that not everyone invests in cryptocurrency as a way to make to become millionaires, just the majority. Which cryptocurrency is right for me? 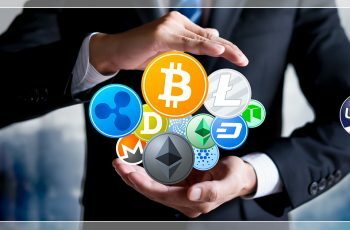 There are many forms of cryptocurrency currently available to an interested investor over 1,800 in fact. Each of them has its own background, management, and potential. All of these will need to be weighed to exploit the fluctuation of multiple coins as a short term investor. A long-term investor has to be more concerned about choosing specific investments. The markets are incredibly unpredictable and are prone to sudden shifts. A few seem reliable including Bitcoin, Bitcoin Cash, Ethereum, and Ripple. However, they are less likely to display the drastic surges in value they saw in 2017. The best advice to either investor type is not to overcommit to a single cryptocurrency no matter how stable or promising it may appear (this exclude stable coins, which by their nature are created to be stable). What is the best strategy for trading cryptocurrency? There are numerous strategies out there that supposedly give investors the greatest possibility of making profit. In cost averaging you purchase a fixed amount of a certain coin periodically, while profit reinvesting simply involves placing profit you get investing in one cryptocurrency in a different one that shows promise. Balanced portfolio involves spreading out the risk by buying the same dollar/naira amount of multiple cryptocurrencies, but in an unbalanced portfolio you invest differing amounts in multiple cryptocurrencies based on how you think they will perform. There is no one strategy that will work for everyone, instead, each investor will have to decide which works best for them personally and financially. What should I NOT do when investing? There are several mistakes any investor could make that could ruin your portfolio. In fact, there are likely too many to list, but here are some of the more common mistakes people make. Do NOT fall for FOMO (Fear of Missing Out): The fear that if you do not buy into a drastically rising cryptocurrency, you will be the only one not realizing a profit. In these cases, if you did not buy in before the actual rise, you are likely already too late, and will you are only likely worsening your position buying late. Do NOT buy into a pump and dump: This is a case where a firm successfully builds up hype about their cryptocurrency before actually releasing a trustworthy product. The value of these will soar during the hype, but fall shortly after when people realize it was all smoke. Do NOT overcommit on any one trade: It’s normal to be tempted to pour all your earnings into one trade that you are almost entirely certain will result in a profit. Don’t fall for this, remember the cryptocurrency market is incredibly unpredictable. As I mentioned earlier, there will certainly be dips even with the most seemingly stable cryptocurrency, but this is not enough reason to simply abandon it. Remember when in doubt HODL. Click here to Start investing in cryptocurrency today. 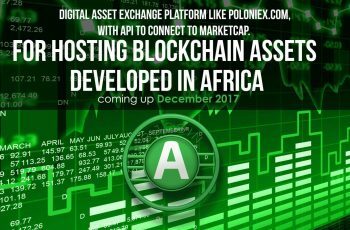 Blockchain Technology In Africa: ABJCOIN to save Africa from Economy Doom! Small Businesses And Cryptocurrency: Should Know Trade with Cryptocurrency? Quidax is a European based digital assets exchange with a focus on Africa. We provide a seamless platform for users to send, receive, buy and sell cryptocurrencies using their local currencies.